Kings County is a small, arid, mostly flat county in the middle of the San Joaquin Valley. Much of the county has been intensively modified for agriculture. Yet, it is surprisingly birdy. There are numeous shallow ponds supported reams of waders and other water birds; deeper canals with diving ducks in winter; and a smattering of city parks that act as oases in migration and winter. The western edge of the county includes some of chaparral and oak foothills on the east side of the Diablo Range. There are also riparian habitats along the Kings River on the northern border. County birding statistics and links are on Joe Morlan's site. Luke Cole's guide to county birding spots is also on-line. I've only birded Kings County a couple of times, and have taken few photos. The one chosen (above) is of an amazing pair of Least Tern that nested here for several years, inland and well isolated from another other breeding populations. They (and other birds) obviously have used this platform a lot! Many of the birding spots in Kings County are holding ponds for agricultural or wastewater purposes. The upper shot (below) shows the Westlake Ponds used by the Least Terns; the lower shot is of the South Wilbur ponds. Note that both are shallow catchements in flat, dry country. 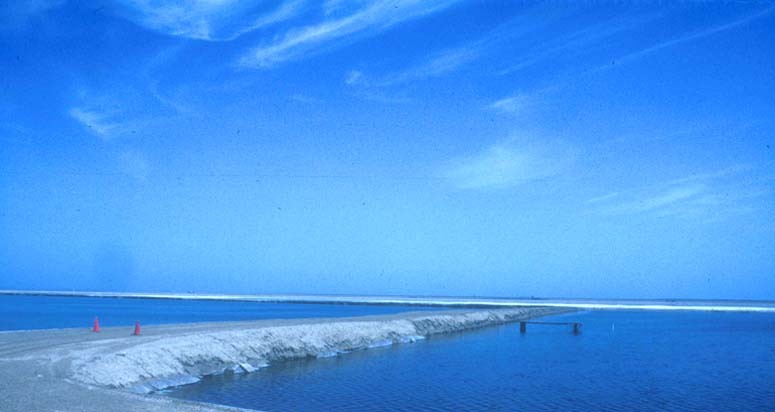 Dikes serve as roosting (and sometimes breeding) spots for waterbirds. 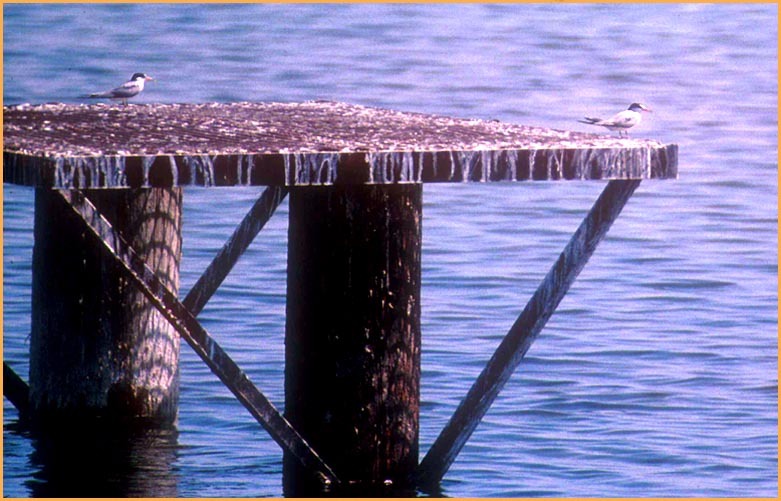 In the bottom photo, the gull in flight in the center is a first cycle individual representing Kings County's first record of Glaucous-winged Gull (photo'd on 27 Mar 1999).